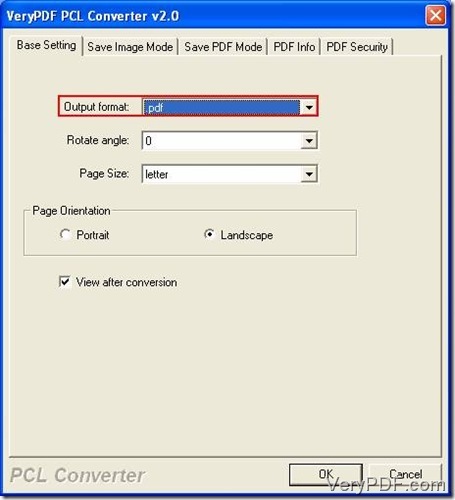 To convert prn to ps, VeryPDF PCL Converter is being introduced to you in this article. VeryPDF PCL Converter is a great tool to convert print files to other format files, like prn to jpeg, prn to pdf, prn to postscript, prn to tiff, pcl to pdf and pxl to pdf. In addition, it is very convenient to operate. Before we convert prn to ps in VeryPDF PCL Converter, we can download it from this webpage: http://www.verypdf.com/pcltools/index.html. After this downloading, we can install it in our computers. These following will show us how to convert prn to ps by steps. Step 1. Select PRN files into the file list. PRN files are usually stored in our hard disks. We can find them in the dialogue box which is opened by clicking “Start” button on the toolbar in the main interface. We should select them and click “Open” to put them into the file list. See picture 1. In this article we should convert PRN files to PS. It means “.PS” is the output format. We can set the output format parameter in the setting dialogue box (picture 2). 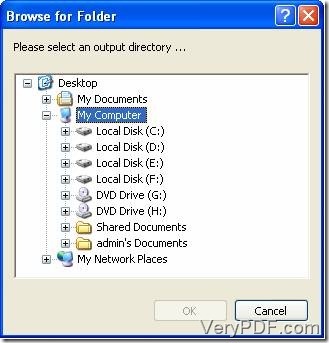 Click “File(F)”-“Settings” in order and open a dialogue box called “VeryPDF PCL Converter”. This is the setting dialogue box. We can change the output format to “.PS” in the dropdown list of “Output format” which is displayed by clicking the tab “Base Setting”. See picture 2. Step 3. Start converting PRN files to PS. When we convert prn to ps, we just need to click “Start”. Once clicking this button, we will see a dialogue box popped up on top of desktop. 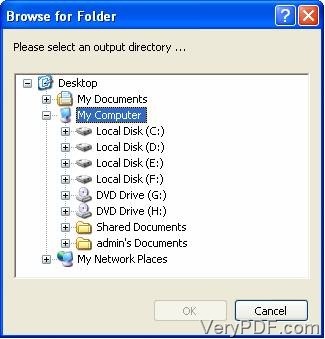 Select an output directory for the new-born files in this interface and press “OK”. Then we will return to the main interface and the progress bar will show us when this conversion job has been done. See picture 3. All of these steps above do not have to be followed in order. The first step can be finished after the second is done. If you want to know more information about how to convert prn to ps, you can visit here; if you want to use all the features about this converter, you can go here. How to convert PRN to PS and set page orientation? How to convert PRN to PS and rotate the page? How to convert prn to ps via command line? Convert pxl to bmp and set page size via command line? This entry was posted in VeryPDF Blog and tagged prn to ps. Bookmark the permalink.